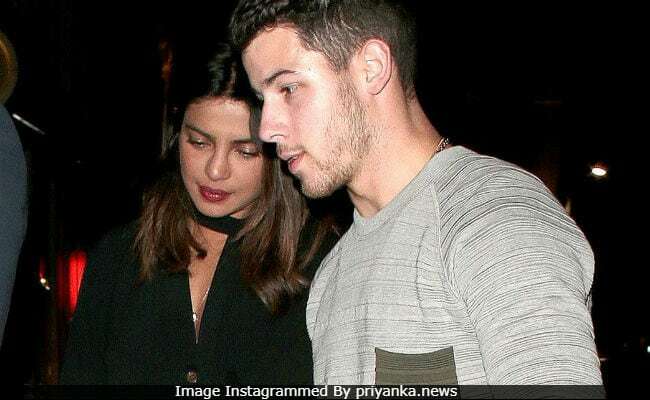 Priyanka Chopra, Nick Jonas head to winter wonderland for another vacation. HomePriyanka Chopra Nick JonasPriyanka Chopra, Nick Jonas head to winter wonderland for another vacation. Priyanka Chopra and Nick Jonas are off on another adventure. The newlyweds have arrived in the Californian ski resort town of Mammoth Mountain with family members, and pictures and videos from their latest holiday are now online. Priyanka took to Instagram to share a short video from the snowy town on her Instagram stories. The video shows a street covered in dense snow. She captioned it, Winter wonderland. Her brother-in-law, Joe Jonas shared a video on his Instagram, which shows him and Nick wearing thick ski gear. He captioned it, Can’t see anything. Another video shared by Joe shows him stepping out of their log cabin and panning across the wintery landscape. Priyanka’s long-time stylist, Divya Sarkisian, took to her own Instagram to share pictures and videos. One of them is of her baby, Sky Krishna, sitting in the lap of Priyanka’s mother, Dr Madhu Chopra, aboard a private jet. Another picture shared by her shows Sky Krishna and her husband, Nile Sarkisian, playing in the snow. The couple tied the knot in a lavish five-day event wedding, held at Jodhpur’s Umaid Bhawan Palace hotel in December. They were married in accordance with Hindu and Christian traditions, and hosted multiple wedding receptions later. The couple celebrated New Year’s in Switzerland, and for their honeymoon they went to the Caribbean. Priyanka will next be seen in her third Hollywood film, Isn’t It Romantic, due out on Netflix on February 28.